Ambien CR is a sleeping pill that is prescribed to adults with insomnia. Ambien CR is manufactured by Sanofi-Aventis and is used to help people who have difficulty falling asleep or those who wake up multiple times throughout the night. 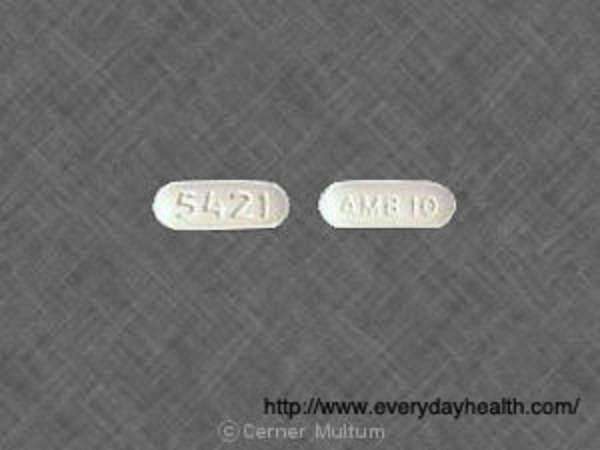 Ambien CR is a part of a class of drugs called hypnotics/sedatives. Ambien CR works by altering the brain functions, through its active ingredient called Zolpidem. The brain’s natural functions, including emotions, cognition and muscle control are governed by small cells known as neurons. Neurons are a complex network of interconnected cells that communicate with one another using signals called neurotransmitters. These signals are secreted into tiny spaces where they bind to proteins called receptors—receptors are designed to bind to specific neurotransmitters. When the bind occurs, it sparks a signal, which is sent to other neurons in the synapse. There are often multiple kinds of receptors for a single neurotransmitter, with each receptor being unique to certain kinds of neurons. Ambien CR works by binding to certain receptors, thus altering the brain’s activity. Zolpidem—Ambien’s active ingredient—is similar in structure to another type of medication called benzodiazepines. This drug has a number of effects on the brain, including relaxation. The different effects of benzodiazepines are mediated by receptors. Zolpidem is not a type of benzodiazepine; however, it connects to some of the same sedative receptors. Because of this function, Zolpidem causes sedation without generating the side effects of benzodiazepines. If you are prescribed Ambien CR it is essential that you adhere to the Ambien CR instructions located on your prescriptions or those provided by your medical professional. Failure to follow Ambien CR instructions could result in serious problems, including an overdose. • Ambien CR comes in pill form. • Ambien CR instructions states that you should take the tablet once a day, before bedtime. • Ambien CR works quickly. As a result of this feature, Ambien CR instructions state that you should be ready for bed before you take it. Ambien CR instructions state that you should not take the drug before driving or performing any tasks that require you to be alert and attentive. • For Ambien CR to work effectively, Ambien CR instructions state that you must take the pill exactly as prescribed. The medication will not work if you take more or less than as prescribed by your doctor. • Ambien CR instructions state that you should never chew, break or crush the tablets.